Sturdy, rustic, well-grounded and charming. 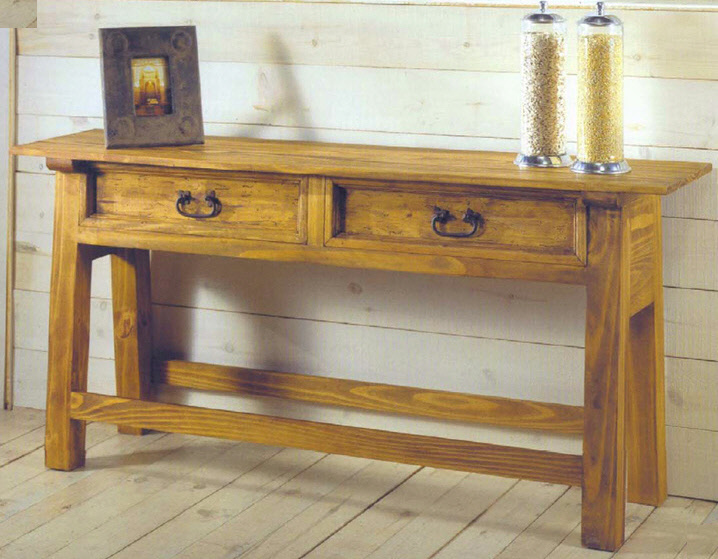 Our Uxmal table is a great practical addition to your Mexico bedroom. In Spanish, the word "tocador" refers to that special place where everything for "sprucing yourself up" or primping is located. Our Uxmal "tocador" also features 2 drawers, to give you some additional space for organizing your belongings. As shown, it is 160cm (62"). We can certainly make it smaller if you prefer. The perfect bedroom bureau to help you get ready for many Mexican Fiestas!